Glory? Majesty? You don't know the dark of it! A Player's Guide to the Planes: A 32-page primer that introduces DMs and players alike to the grand design of the multiverse. A DM's Guide to the Planes: A 64-page book of valuable information solely for the Dungeon Master. Four poster-size maps depicting the planes. A four-panel DM screen designed especially for planar campaigns. Until now, only the most powerful wizards could peek into the magnificent multiverse, but no longer! Gone are the unimaginable distances and the insurmountable obstacles that only the ultrapowerful could hope to overcome. 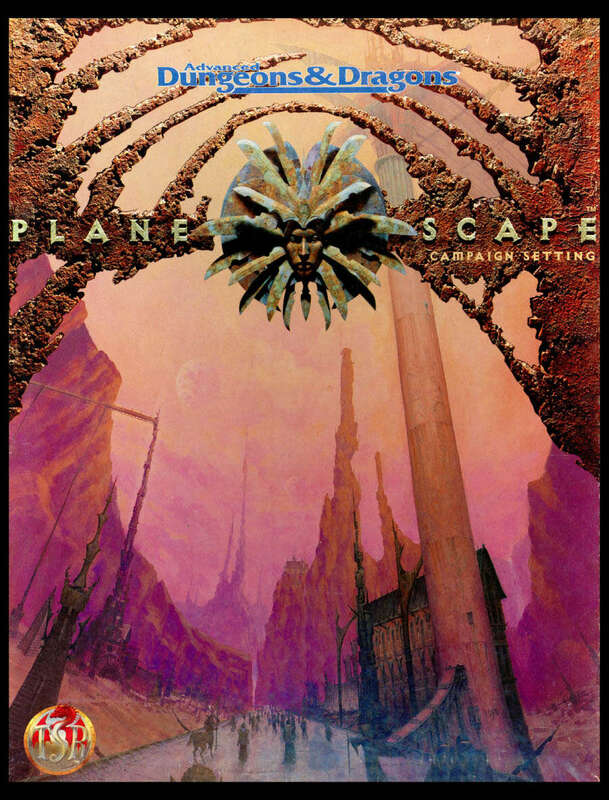 Now even the greenest adventurer can enter the planes, though surviving long is another matter . . . .
Planescape Campaign Setting (1994), by David "Zeb" Cook, is the core sourcebook for the Planescape setting. It was published in April 1994. Continuing the Settings. Throughout the early AD&D 2e era (1989-2000), TSR published a new setting each year, with the first four being Spelljammer (1989), Ravenloft: Realm of Terror (1990), Dark Sun (1991), and Al-Qadim (1992). TSR took a break in 1993, but when it returned the next year, it produced some of its most innovative settings ever. That all started in April with the Planescape Campaign Setting (1994). Origins of Planescape. The story of the setting begins with Slade Henson, who wanted to revamp the Manual of the Planes book (1987) for AD&D 2e. He even had a name for the revision: "Planescape". Project lead Dori Hein and original Manual author Jeff Grubb kicked the idea around for a while, but nothing came of it. Meanwhile, TSR decided that the Spelljammer setting was fading out, and they wanted a replacement that would allow players to "travel across wide distances to visit strange and wonderful lands". You put these two facts together, and Henson's Planescape idea was suddenly turned into a full-fledged setting. In the process, it was almost totally revamped by a new developer, one who had the time and experience to oversee the new line: David "Zeb" Cook. Cook had to meet a few other requirements while designing Planescape. First, it needed to truly be a setting, "not just a place to pop out and visit". Unlike Spelljammer, it also needed to have a home base. At first the designers thought about following a Spelljammer-like route, where the players would have an artifact that helped them traverse the planes, but Cook eventually settled on creating Sigil, a city of doors at the center of the multiverse, from which players could go anywhere. Sources. By the time that he was working on Planescape, Cook had largely stopped reading traditional fantasy novels. As a result, he drew upon such unusual sources, particularly "experimental novels", which made the planes more "surreal". These sources included Dictionary of the Khazars (1984), Dreamtigers (1960), Einstein's Dreams (1992), and Invisible Cities (1972). Cook also adapted historical sources while working on Planescape. Much of this shows up in his creation of the "cant" — a slang language used in Sigil that players either loved or hated. The cant was based on Elizabethan slang with some Dickensian slang mixed in. Cook's sources here included Cony-Catchers and Bawdy Baskets: an Anthology of Elizabethan Low Life (1972) and The Elizabethan Underworld (1977). Ironically, the books had been on Cook's desk for years and had already been used by Steve Winter as a source for HR4: A Mighty Fortress (1992). A Sign of the Times. One of the most notable innovations in Planescape is its inclusion of "factions" that players could belong to. Cook describes them as "the bad philosophy ideas that we used to argue about in college after a few too many beers". They were brought into Planescape because James Ward wanted to give players a "sense of belonging" and because Vampire: The Masquerade (1991) and its successors had proven that players were very interested in character organizations of this type. Vampire publisher White Wolf was also innovating the industry with its metaplots. TSR had been playing with them since at least the Avatar modules (1989), the first of many "Realms-shaking events". Metaplot had also proven very important to the Dark Sun line. Unsurprisingly, the seeds of metaplot were planted in the Planescape Campaign Setting as well, primarily through mentions of the Blood War and the mysteries of the Lady of Pain. An Artistic Setting. Earlier 2e settings such as Dark Sun and Al-Qadim had been created with heavy influence from artists, and this was the case for Planescape as well. Dana Knutson was the original concept artist, who created the image of the Lady of Pain and also originated the faction symbols. However, Tony DiTerlizzi is much better known for his published work in most of the Planescape artists. Together, Knutson and DiTerlizzi created a raw-edged, punkish style of art for Planescape that was unknown in the RPG industry and probably TSR's most innovative design style ever. Expanding D&D. Planescape's main rules extension to D&D comes in the form of a few new character races: bariaurs, githzerai, and tieflings. Of these, the tieflings are the most notable, because this was their first appearance, and they've since become a major element in more recent editions of the game, particularly D&D 4e (2008). Expanding the Outer Planes. The planes had already been well-described in Jeff Grubb's Manual of the Planes; Planescape does its best to adhere to those prior descriptions of D&D's Great Wheel cosmology while still expanding and modernizing them. Thus, the inner planes (including even the paraelemental and quasielemental planes) and the outer planes appear in much the same form as they'd been seen before. However, that modernization resulted in some changes too. The first big change from Manual of the Planes to Planescape was the updating of many outer plane names to what have became the new standards. Gladsheim became Ysgard; Hades became The Gray Waste; Happy Hunting Grounds became Beastlands; Nine Hells became Baator; Nirvana became Mechanus; Olympus became Arborea; Seven Heavens became Mount Celestia; Tarterus became Carceri; and Twin Paradises became Bytopia. Clearly, the goal was to get rid of planar names that might connect to existing religions, replacing them with original titles. Planescape Campaign Setting also adds a lot of detail to these planes and even describes new "paths" between the planes, such as planar rivers and the world tree. The second big change from Manual of the Planes to Planescape was the inclusion of that new home base: Sigil (and the Outlands that surround it). The Outlands had previously been known as the Plane of Concordant Opposition (and were largely ignored), while Sigil was totally new. Finally, Planescape also introduced a new point of view of the planes, presenting them (as planned) as their own setting. The cant helped with this by giving the planes their own culture, as did the clear distinction between "planars" and "primes". Future History. Planescape was a major setting from 1994-1998. It was supported by numerous adventures, some of which advanced the setting's metaplot, and by many setting books, including major publications like Planes of Chaos (1994), Planes of Conflict (1995), Planes of Law (1995), and In the Cage: A Guide to Sigil (1995). About the Creators. Cook continued to be a major designer at TSR through the early-'90s, but 1994 was his last hoorah, with his most important publications being the Planescape Campaign Setting and First Quest (1994), both released in April. That year, he left TSR, moving over to the computer industry. I agree we need this for Planescape, I’d love to see ALL campaign settings as POD. I’ve bought a good deal of POD books, and would love to see even more, specifically for campaign settings! Given the importance of this product one could imagine there is a priority to have a print option. POD, Boxed reprint whatever it is I'm ordering it immediately upon it existing. Please! No PoD is the only thing currently holding me back from purchasing this. Can't wait until that's remedied. Adding my voice to the calls for POD. 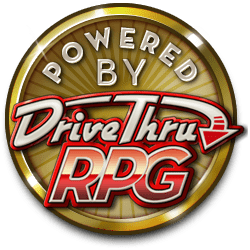 I know I posted here already, but Wizards, please check this thread! If you make a POD copy, people will buy it. Also, please consider a boxed set option too. The look and feel of holding a complete box is just too tempting. Hoping for a PoD. All of the box sets are prohibitively expensive on ebay. Would you please bring this to PoD. Thank you. Print on demand please. Will buy multiple copies. Can we please have this print on demand already? I really need this!